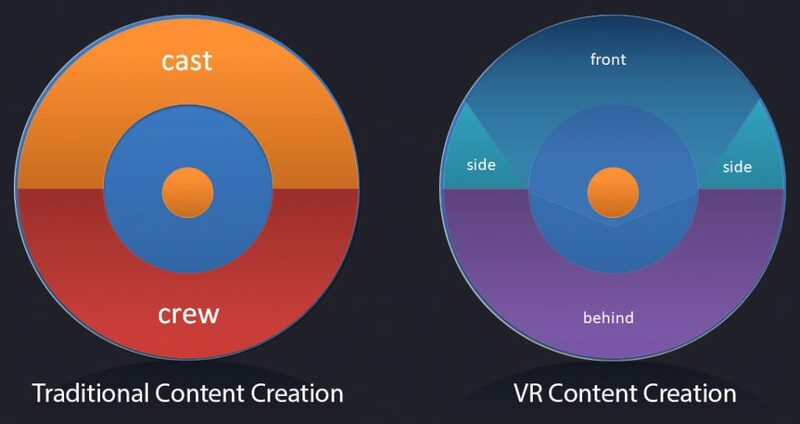 Many of my efforts over the past two years are teaching students the transformation in content design when it comes to creating VR content versus traditional game or theatrical design. I have been privileged to develop these skills alongside the best minds in Hollywood and the gaming industry. The gaming industry has been developing 360 game content for 20 years. The primary difference is the ability to wrap our content around the viewer with significant upgrades in close proximity or negative content to bring reality into alignment with real life. My background with VR goes back quite a few years, and the recent resurgence has been extremely exciting. I have spent the past two years deep in VR and Immersive Reality technology. I’ve designed a number of image protocols for specialized direct LED technology to create the most seamless IR experience anyone has ever seen. I taught the first accredited VR class at Chapman University alongside my good friend Richard Wynn Taylor who is well known for his work on Star Trek, TRON, and hundreds of classic commercials. I also participated in the VR shoot for the Invisible Man alongside director Lin Zhao. AR is a passion of mine. My first attempt to market AR to Los Angeles ad agencies was back in 2005, but the industry wasn’t ready for the tech. I’m very excited that the students I teach and the industries can’t get enough of it today. I am continuing to pursue all things AR as the industry is finally seeing the funding it has already needed. Diagram I use during VR education.